Product code: VM922J Categories: Home Living, Kitchen Aids. 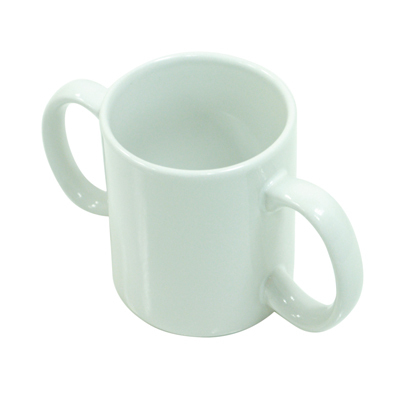 The Aidapt two handled drinking mug is ideal for those who have a weakened grip or suffer from Parkinsons. Made from ceramic earthenware it is discreet and hard wearing. Dishwasher and microwave safe. Below is a list of information regarding the Aidapt Two Handled Ceramic Mug. If you would like to view more products like this, CLICK HERE.